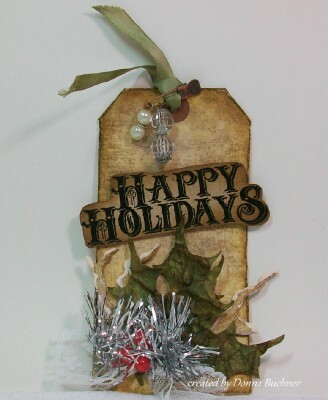 card-inkwithdonna : Tim Holtz 12 tags of Christmas Tag 7!! WOW! I loved playing with this one! You did a FABULOUS job on yet ANOTHER tag, Donna!! The products you used certainly DID THE JOB. Great choices! I think this one is one of my fav's. Love, Love, Love it!!!! !